As of December 1, 1995, residents of NC may be eligible for a permit allowing them to carry a concealed handgun under specific conditions. No other weapons can be carried concealed pursuant to this permit. Once issued, the permit is valid throughout NC for a period of 5 years, unless it is revoked. In order to obtain a concealed handgun permit, you must apply to your County Sheriff's office. Beginning June 1, 2010, the Sheriff’s office is accepting applications for concealed handgun permits by appointment only for both new and renewal applications. To apply for either a new or renewal concealed handgun permit, complete an application, make payment and schedule an appointment. If you do not have access to a computer, we have a kiosk available in our lobby 8 a.m. to 4 p.m., Monday through Friday. The application fee is required up-front, and is non-refundable if denied for any reason. If the Cabarrus County Sheriff’s Office is closed due to inclement weather, all New Concealed Permit Applicants will need to reschedule your appointment. You can do this by going back into your application through a link in your confirmation email or through the Order Tracker tab at the top of the application page on the website. Renewal Concealed Applicants will follow the same directions above. Renewal Applicants that are not able to find an appointment before your permit expires may call our office when we reopen at 704-920-3100. You will be notified by our online system (email and phone) when your permit is ready for pick up. Permits must be picked up in person at the Sheriff’s office Monday-Friday, 8am-5pm. You must present a valid NC driver’s license. If your permit is denied, you will receive notification from this office. It is the applicant’s responsibility to renew the permit before it expires. The permit will expire at 12am on the date listed on the card. You can renew up to 90 days prior to the expiration. If making application to renew a concealed handgun permit, you will not need to bring another copy of your firearms safety course certificate (we should have the original) or DD-214 form, unless you have completed another term of military service. You will need your current concealed permit along with your valid NCOL/ID. A recently passed law (GS14-415.16(e)) states if a permittee does not apply to renew the permit prior to its expiration date, but does apply to renew the permit within 60 days after the permit expires, the Sheriff may waive the requirement of taking another firearms safety and ​training course. This does not extend the expiration date of the permit and you can no longer carry concealed until you receive a new permit. Your application in this case will be as a new applicant. The cost is $90 and will require fingerprinting. Our new appointments book very fast and you will not be guaranteed an appointment within the 60 day grace period. The list of States recognizing NC's concealed handgun permittees is updated frequently and can be viewed at www.ncdoj.gov. Also, approved safety course instructors can be found on the ncdoj website. Applicants moving from one NC County ​to another must apply for an address change through the County from which you are moving from. Same applies to moving within the same County. To apply for an address change you must provide a NC drivers license or NC ID with the new address. This should be done within 30 days of moving. 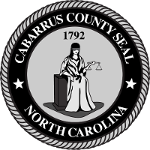 Cabarrus County does address changes M-F, 8am-4:30pm. No appointment necessary. If you have any questions regarding concealed handgun permits, you may contact us at 704-920-3100 or email sgjohnson@cabarruscounty.us.